With President Abdel Fattah al-Sisi recently issuing a decree to amend Law 70 of 2017 regulating civic organizations, the undersigned rights organizations emphasize the futility of any attempt to revise this fundamentally flawed law: a complete redrafting of the law, on the basis of civil society independence, is required. 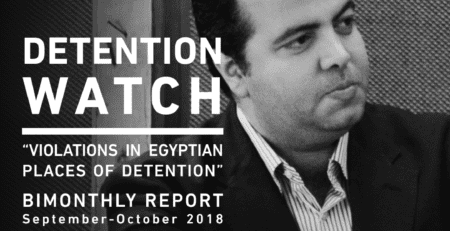 A simple revision of the law can address neither its irreconcilability with both Egypt’s constitution and international obligations under human rights conventions, nor its inimicalness to a functioning civil society. A new law must be issued that lifts all barriers to civic action in Egypt, in accordance with the constitution and international conventions. The undersigned organizations believe that the draft law hammered out between the state and the Supreme Body for Civic Work, formed by Decree 164/2014 of then Social Solidarity Minister Ahmed Borai, should be the basis for any further discussion of the future of civic work in Egypt and the statutory framework governing it. That bill was the result of six months of productive, democratic consultations, and the final draft was debated in serious, organized hearings. Whereas the Borai Committee solicited input from both government and civil society entities, the current law was peremptorily issued without any dialogue or consultation with civil society representatives, and in disregard for civic organizations’ protestations that the law sought to cripple civil society. 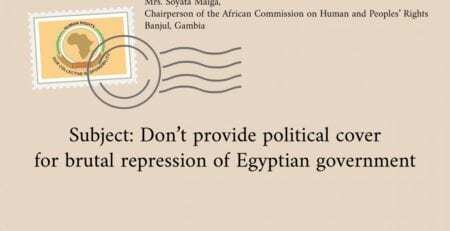 The bill that came out of the Borai Committee was approved not only by Egyptian associations, but also by the United Nations and the international community. 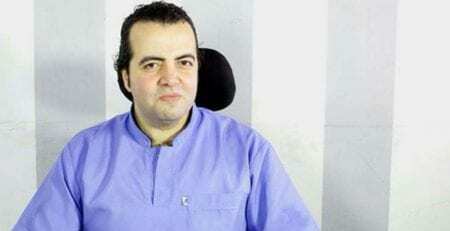 Yet in spite of this rare success, the bill was sidelined and Minister al-Borai removed, and a new bill antithetical to the original was dictated (the current Law 70/2017), resulting in widespread international criticism. The UN Special Rapporteur on the rights to freedom of peaceful assembly and of association observed that the law appeared to be “deliberately drafted to curtail civil society’s ability to operate, and to stifle their ability to freely express themselves.” As international criticism mounted, the US administration froze part of Egypt’s military aid due to fears about the future of civil society and independent organizations under the law. 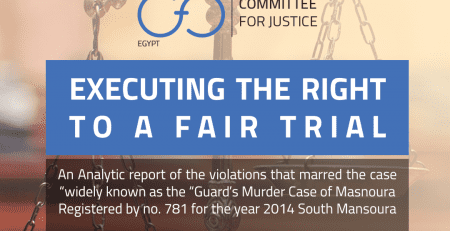 The Cairo Institute for Human Rights Studies (CIHRS) issued a 13-page memorandum detailing the major problems of the current law, which was endorsed by 22 rights organizations and four political parties. 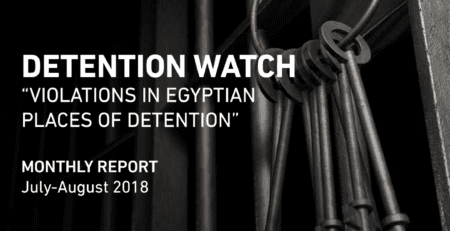 Perhaps if Egypt’s President and Parliament had reviewed this memorandum and consulted with civil society, the President would not now find himself compelled to revise the flawed law after substantial international pressure. 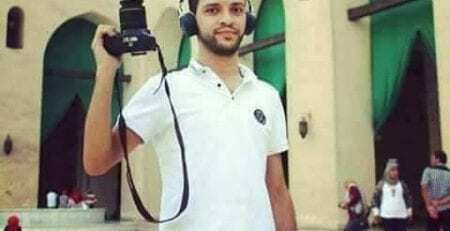 Two years later, the Egyptian state has been unable to implement the law or even issue its regulations. The statutory vacuum left by the current law has hindered the work of numerous existing organizations and denied many new groups the opportunity to register. 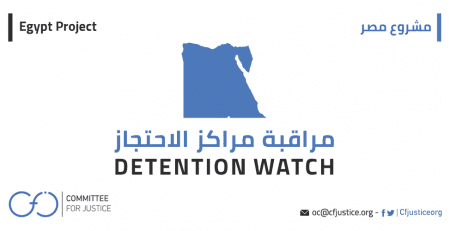 In turn, millions of Egyptian citizens were denied a final recourse to deal with the near daily violations and assaults on their basic rights, including their economic and social rights. The undersigned organizations reiterate several basic guarantees that must underlie any new law regulating civil society. The most important of these are a guarantee of civic associations’ constitutional right to acquire legal status by simple notification and a guarantee of the constitutionally mandated freedom of civic action. These guarantees can only be upheld by eliminating the broad, exceptional prerogatives granted to the administrative body, which permit it to intervene in the activities of civic associations, choose their members, and set their agendas. Steps must also be taken to minimize material and bureaucratic obstacles to the establishment and operation of civic associations; most importantly, by eliminating the security apparatus’s stranglehold over civic activity along with the restrictive system of oversight requiring advanced approval for any activity. Furthermore, all custodial penalties and fines, currently reaching LE1 million, must be abolished. A different law, which empowers civil society and guarantees its independence, must be among the many actions that should be taken to counter the state-sponsored hostility and reprisals against civil society leaders and their organizations. Not least among these reprisals is Case no. 17 of 2011, known as the Foreign Funding Case. 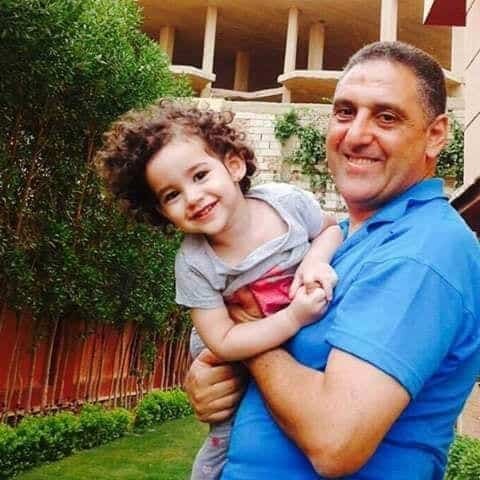 At least 30 rights defenders have been banned from travel, and seven organizations and ten founders and directors have had their assets frozen in connection with the case. 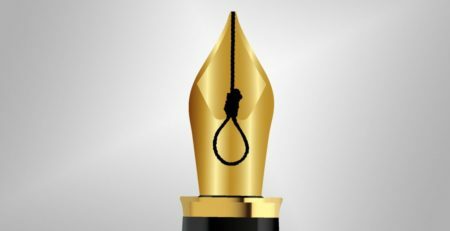 This is in addition to death threats and the prosecution of rights lawyers, which has forced some organizations to shut down or suspend operations. The undersigned organizations hope that there is genuine political will to open up the public sphere and empower civil society. The President’s latest decree offers the opportunity to review ineffectual policies proven unable to achieve stability and economic growth. 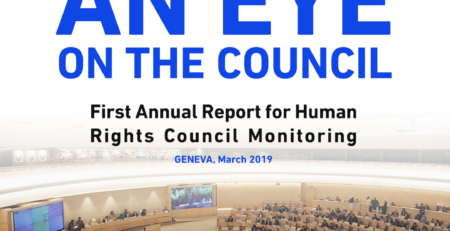 We call for the efforts to revise Law 70 of 2017 to extend beyond cosmetic changes designed to quell international pressure, particularly since Egypt will undergo its Universal Periodic Review before the UN in a few months. Liberalizing civic work is an integrated process that begins with a law guaranteeing civil society independence; a law that must be based on the protection and empowerment of civil society, rather than the obstruction and punishment of it.